The data of a new study indicates that there is a higher risk of psoriasis in people with a higher BMI or obesity . Therefore treatment to one of the most common inflammatory skin disease, Psoriasis, lies in the management of Body Mass Index, a new study has pointed out. The study strengthens the link between obesity and the skin disorder, pointing out to effective strategies of psoriasis management through diet control targeted to reducing BMI. The study published in PLOS revealed that people having high Body mass index are under increased risk of developing psoriasis. Following published epidemiological evidence relating obesity to psoriasis, the investigators opted to investigate the causal relationship between obesity and psoriasis. The analysis included data for a total of 753,421 individuals from two of the largest population-based studies available as well as published genome-wide association studies (GWASs). The study was done at the Medical Research Council (MRC) Integrative Epidemiology Unit, University of Bristol, Bristol, United Kingdom. Published observational data showed an association of higher BMI with psoriasis. A mean difference in BMI of 1.26 kg/m2 between psoriasis cases and controls was observed in adults, while a 1.55 kg/m2 mean difference was observed among children. Overall, a 1 kg/m2 increase in BMI was associated with 4% higher odds of psoriasis. MR (Mendelian randomization) analyses provided evidence that higher BMI causally increases the odds of psoriasis. At the same time, MR estimates gave little support to a possible causal effect of psoriasis genetic risk on BMI. 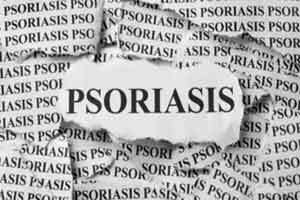 The data of the study indicate a higher risk of psoriasis in people with a higher BMI. The authors concluded their support to the prioritization of therapies and lifestyle interventions aimed at controlling weight for the prevention or treatment of this common skin disease. Our findings suggest that obesity contributes to the pathogenesis of psoriasis, and highlight possible mechanistic relationships. If our findings regarding genetically influenced BMI can be extended to elevated BMI that is amenable to modification by diet or behavior, then they could carry health implications. Mechanistic studies are required to improve understanding of this relationship.